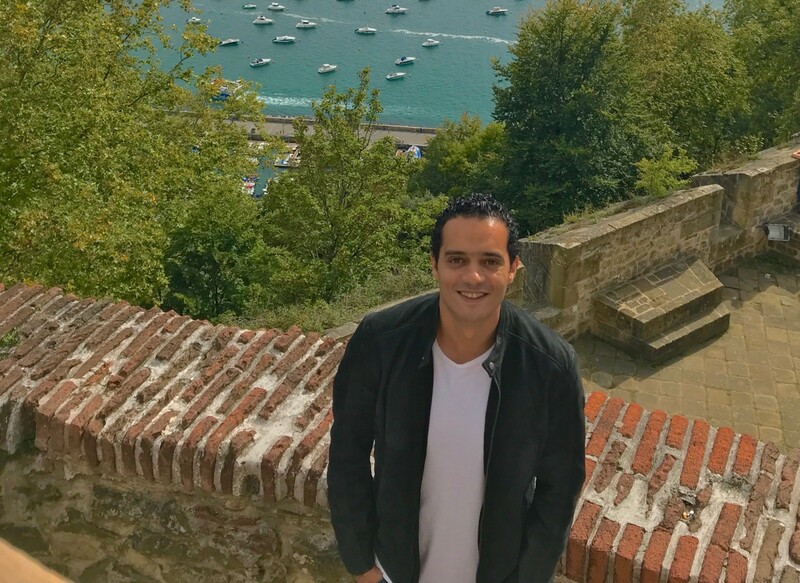 The second story of our new series different country, same passion @ Scout24 features Haitham Reda who moved from Egypt to Germany for his job a few years ago. Let’s see what he has to say about his new home, his experiences in working and living in Berlin and find out what falafel and currywurst have to do with it. Haitham moved from Cairo to Berlin in 2014. 1. Hi Haitham, you moved from Cairo to Berlin. Why did you decide to start a new life in another country? Well, that wasn’t a really hard decision for me as I wanted to be at the heart of a tech hub and actively participate in conferences and meetups and work at scale. Therefore I set my mind on moving to Berlin in 2014 as it was becoming the next place to be and the technology hub in Europe, and I’m happy that I did. 2. You are working as a Senior iOS Engineer at Scout24. What’s been most rewarding about your job? Before even joining Scout24, I have found my own apartment using ImmobilienScout24 app, so did people around me back then. That was the kind of impact and perspective that I have joined Scout24 for since it means I can contribute to making a difference in one of the most important decisions for people — where to live. Joining Scout24 gave me the opportunity to work with talented teams, whether technical, product or data analysis. Also, I can see the impact of our work on millions of users and get prompt feedback from them. 3. And what have been some of the challenging moments at your job so far and how did you deal with them? Working at scale and shipping to millions of users twice per month doesn’t come easily. There were moments where we had technical challenges to preserve and improve our app quality, speed and reliability along with shipping new features and deliver them on time. In moments like this, it’s always better to step back a little, look at the challenging problem again and focus on the deliverable, break down and prioritise the building blocks and tackle them one by one without compromising the quality aspect. Maintaining your serenity and focus is the key to overcome any challenge. 4. What’s one of the biggest differences between working in Egypt and working at Scout24 in Germany? Falafel vs. currywurst. Both serve the purpose but with different ingredients. So for example in Egypt we tend to prioritise speed of delivery over lots of other aspects, which requires more iterations after shipping to ensure quality. Meanwhile in Germany there’s extra precision, more time for planning and therefore more prediction. 5. Do you have any advice for people who are thinking about moving to Berlin/Germany for work? I would say ‘You won’t regret it’. Berlin is a really nice city to live in and very multicultural. You will be surrounded by very talented people from all around the world and you will get to exchange ideas with them in conferences, meetups and similar activities. Also, the city is full of art and all activities you would wish for. Have a nice journey!